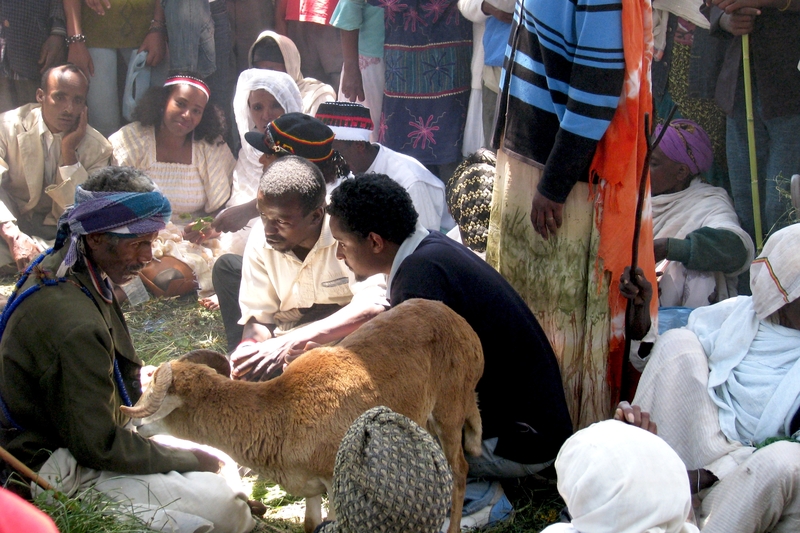 At their Irreechaa festival in Bishoftu two Oromo and a Qalluu, the spiritual leader of the ritual, are in conversation. The two men are bringing him a ram to thank him for his spiritual assistance throughout the past year. It was very touching to have had the chance to experience that scene.